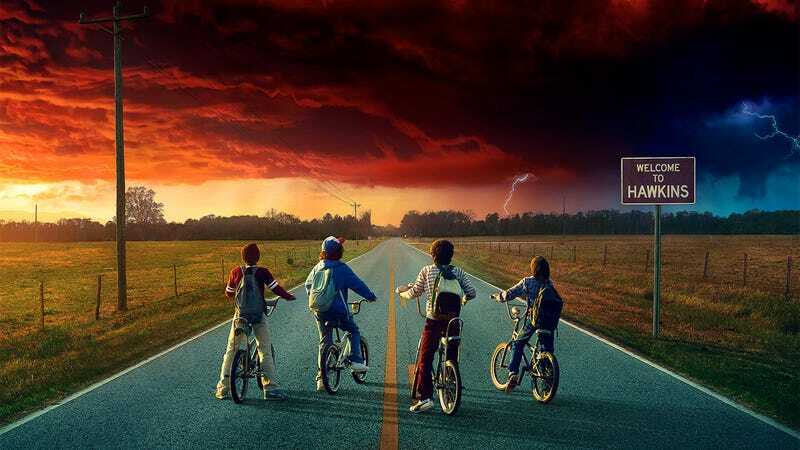 One of the pleasures of Stranger Things’ first season was its myriad little love notes to the Spielberg version of suburbia, a place full of lazy bike rides and wood-paneled dens for young, dice-wielding nerds to battle it out. It sounds like the show’s second season will be getting out of that carpeted basement comfort zone, though, and heading off to the big city (at least for a bit). Beyond its details on the new season’s opening scenes, the EW piece is also packed with little tidbits and pictures on the series, for those who can’t wait until October 27 to immerse themselves in the show’s ’80s throwback universe once again. Most strikingly, it features a cover image of Millie Bobby Brown’s Eleven and her new look, suggesting that the Upside Down has some pretty awesome hairstylists lurking among the monsters.